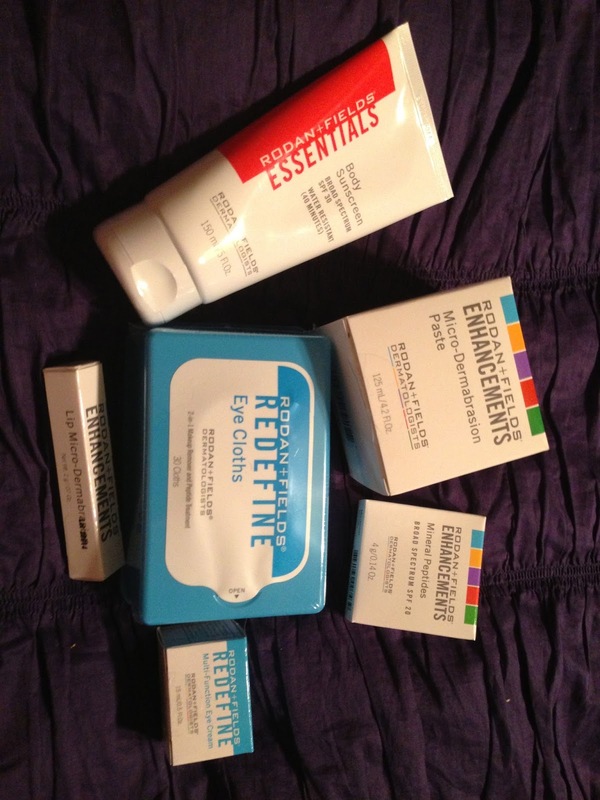 Skinny Meg: Skin Care Giveaway! Rodan + Fields Dermatologists is an anti-aging focused skincare line designed to combat the major areas that people encounter as their skin changes at all ages. Created by the award winning dermatologists who created Proactiv, Dr. Rodan and Dr. Fields wanted to have a line that would work for all ages, no matter what type of skin issues you encounter. 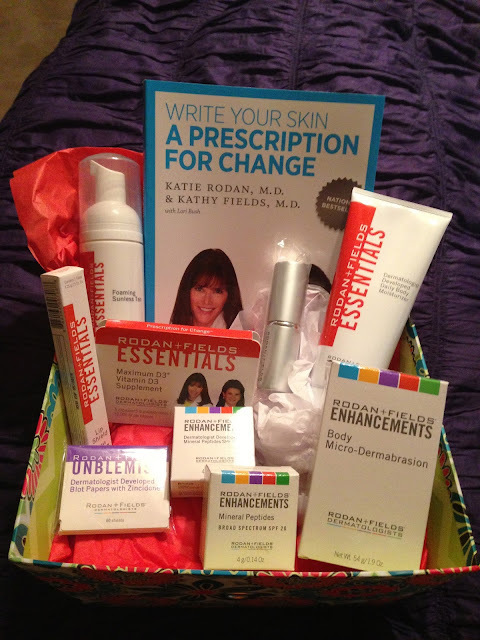 60-day 100% money back guarantee on all products! The first product I tried was the Microdermabrasion Paste, I am a big fan of scrubs to keep my skin smooth and glowly! This one was great, you use it on dry skin and while it was oil free it was hydrating enough to get all over my face without any water, not pasty at all. I followed it up with some of their eye and lip night products, I could still feel it on my skin the next morning and my skin was really soft, so winning! I read the instructions, but it was pretty easy to figure out. The tools has automatic setting that tell you where to use it and for how long, it even tells you what direction to go! "It features patent-pending DOC-SMART™ technology, developed and programmed by Dr. Katie Rodan and Dr. Kathy Fields, to vary the degree and duration of macro-exfoliation based on facial area. So effective, the REDEFINE MACRO Exfoliator is clinically proven to visibly improve skin texture after only one use. " I finished off with some cooling gel which was surprising smooth and not sticky. Overall I really liked it and that week I think my skin was looking smoother under my makeup so I can just imagine the results I would get from regular use! I thought the tool was quick and easy way to add that extra level of skincare I need to my routine, I could easily take it to the gym with me and use it before I get ready. From August 30th - September 6th, anyone who places an order with Jessica (via email) for a regimen will be entered into a drawing. For every additional item you purchase, your name will be entered again! #1 is a $300 value and #2 is a $200 value. The winner will be chosen on Friday, September 6th at 5pm! If you purchase a regimen plus a MacroE tool by August 31st, you will receive an additional 15% off!! This is a total of 25% off. 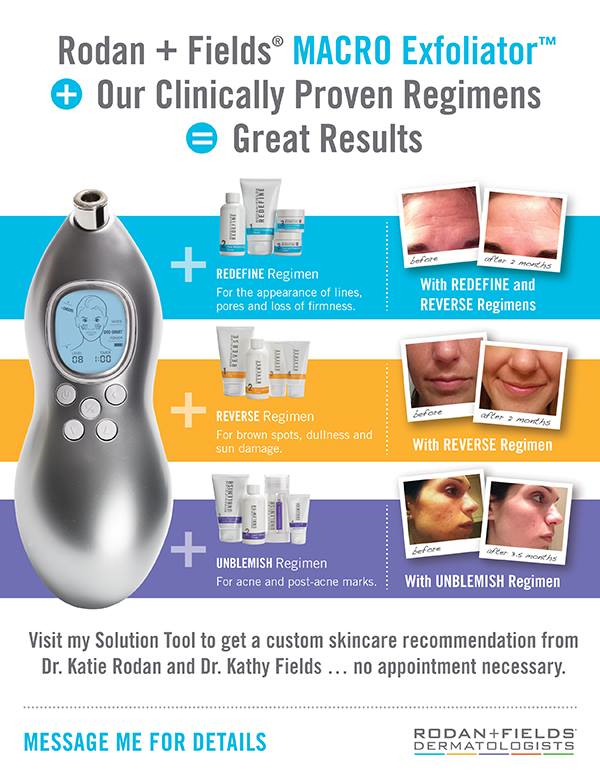 If you are unsure which regimen is right for you there is a nifty online tool to help you out, just click here! I have been approached several times to sell this stuff here in Illinois. I haven't agreed, yet, because I do not have a salesman personality. I still would like to try it though. I have heard it is amazing. Meg, you look MORE beautiful without makeup! Honestly! You look younger and so fresh!! I LOVE this product and swear by it! Has anyone ever heard of a skin tightening mineral bath is available for loose and sagging skin? I have been looking into natural methods because I do not want to go under the knife....any thoughts would be great. Thanks in advance! 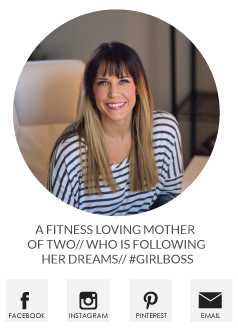 SkinnyMeg's DietBet: Get Fit for Fall! Bumpdate Week 11: Feeling Good!